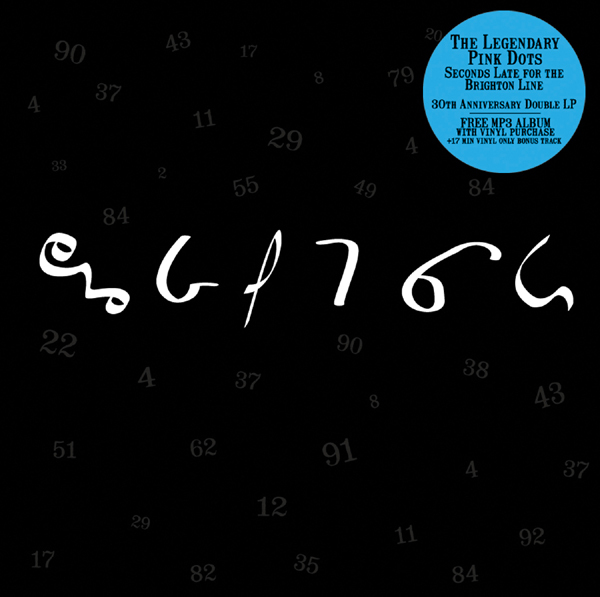 2010 marks the 30th year of existence for The Legendary Pink Dots. Their latest album, Seconds Late for the Brighton Line is out now and they begin their extensive North American tour this week on Friday, October 15th in Vancouver, British Columbia. Brainwashed talked very briefly with Edward Ka-Spel, taking a snapshot of the current, about the latest album, the forthcoming shows, and the ever changing state of the Dots. Tell me the origins of the album's title Seconds Late for the Brighton Line. Basically this The Dots being cryptic and throwing a challenge to those who listen to the album, which is a little more conceptual this time around. Can you provide any insight to the symbols on the cover? Are there any different techniques you have been applying this time around both compositional and technologically? I'm using my laptop (on an admittedly primitive level) a little more seriously on this album, which had Phil diving for his oldest analogue beasts and Erik dusting off his acoustic guitar. I'm actually having a great time with Ableton Live, but I realize that I have so very much to learn. Describe the changes that have had an influence in the composition and recording of the album. Losing Niels and Martyn was tough, especially as we prepared to celebrate our 30th year. Still, they needed to follow their own paths and of course we wish them only good things. Our way of composing remained essentially the same although there was much more improvisation between myself and Phil at the very beginning stage. We also worked fast (the whole album took a month while it's predecessor needed a year).The result is a very spirited and fresh album and we'll probably set ourselves such a time limit again for the next one—as this works. Erik brought very fresh ideas on guitar(s) too—usually spontaneously while Ray molded and shaped things at that crucial final stage. Mixing was a joy for this one. Can you explain some of the challenges and benefits to working with a smaller ensemble. No-one hides, no-one dares to...The intensity level goes up quite a few notches. The shows we've played have been explosive though I'd hesitate to describe our live spectacle as "entertainment" now these days—just very pure. Are there any new (or new to you) "artistic" influences that you find making its way into the music this time around (ie film, books, music, art). I'm listening to a lot of new bands right now. Had this album by Wooden Wand and The Vanishing Voice (The Flood) on constant rotation in the last few days. Is there a story to go along with this album? 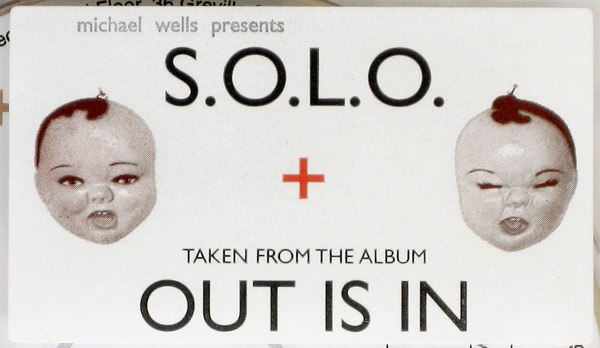 In the '90s and before there seemed to be a story that would accompany the album, it would usually be a press release but they were much more entertaining than a typical press release. Been a tough personal year from me and I've shied away from press releases or being active on the Internet. This time I'm keeping a lower profile. Can you pick 3 of the songs on the album that are part of the live set and explain the origins and meanings? "Haupbahnhof 2010" is a remake of a song from the very start of the Dots that I always loved. It's completely different of course, but we realized this song's potential. "Russian Roulette" opens the album, will be played live and somehow holds te whole key to "Brighton Line". "God & Machines" is very personal with regard to how I see the human species in these strange times. I hope we mutate into something better pretty soon. How has the changing music business climate effected the group both creatively and non-creatively? It's all much more home-made these days. The whole mail-order thing is much more serious now as it puts the food on the table, pays the rent- but it means personal contact is intensified and that's great. Still, sometimes i find myself frustrated as I'm just not in the mood for that side of things and just want to create. Have there been some benefits to the changes in the music business model that you have seen? Are more people hearing your music but less people buying? Are social networking outlets helping? Is concert attendance changing? You're entering your fourth decade! Are you able to summarize how the first, second, and third decades of operating have differed from each other? I'm a wiser person than I was back in the early '80s...Still, for the first I'd sum it up as the "shouting" decade. Lots to let out, sometimes in a clumsy way, sometimes more poetically. Exciting for sure and I'm proud of much we achieved. Not so stable—the band collapsed like a pack of cards in 1988, but with Phil we were always going to claw our wat back. The '90s ......the spacey decade. A big band. Ryan on the drums driving it all forward with passion and a lot of fun. Great explorations and a big sound. The 2000s. Changes. Introverted and probably the most lyrical especially after 9/11.Also a time of great struggle as it all became a little like the early '80s again as we tried to survive. In the end two core members decided that they'd had enough of that struggle too. The fourth decade begins with fireworks. What is easier now than 10, 20, or 30 years ago? What is more difficult now than 10, 20, or 30 years ago? Simply surviving. We have to be inventive to convince people that the 58th album IS special. "10 is this year, 11's next, 12 is when we hold our breath..." Amanda Palmer wrote a paper for college on your recurring apocalyptic themes in songs. (I think at the time she claimed aclose to 1 in 4 songs had some allusion to it!) Do you think differently in 2010 than you did, say, 20 years ago about such possibilities? Are you excited to be on the Halloween Dresden Dolls show at Irving Plaza? Totally. I've experienced a few big shows with Amanda by now and the Dolls' Circus in London remains one of the highlights of my life...certainly I've never been that nervous on a stage (it was LONDON after all). Just has to be special. You have an extensive North American tour with few days off: what do you look forward to and what do you dread? I love America and I love the road in this great continent.I dread going to that treasured record store in say Chapel Hill, and finding it closed. Seconds Late for the Brighton Line is out now on ROIR.